This summer's pop music calendar goes big, and it goes outside. The list of 20 shows highlighted below starts off with a busy June indoors at the Wells Fargo Center, but after that they're mostly al fresco affairs, taking place in amphitheaters, city streets, open fields, and football stadiums. All the big-deal events aren't covered in detail: There's also Zac Brown playing the BB&T Pavilion in Camden on July 19 and 20, Billy Joel returning to Citizens Bank Park for the fifth straight year on July 27, an Atlantic City beach series that includes dates with Sam Hunt (July 1), the Chainsmokers (July 26), and Demi Lovato (July 29), plus a flurry of smaller but more intriguing shows at Festival Pier, including Neko Case (June 22), Arcade Fire (July 19), and Beck (July 20). Cool things will still be happening indoors, like Stephen Malkmus & the Jicks on June 16 at the TLA, Raphael Saadiq at Union Transfer on July 24, Bombino at World Cafe Live on July 10, Wussy at MilkBoy on July 13, My Bloody Valentine at the Fillmore on July 30, and George Clinton & Parliament Funkadelic at Ardmore Music Hall on Aug. 1. And let's not forget the usually free intimate outdoor spaces that can make hearing music in the summer a joy, such as Spruce Street Harbor Park, where Ivy Sole performs June 28, the Sundown Music Series in Haddon Heights, where Chuck Prophet plays July 11, and the Pastorius Park series in Chestnut Hill, were Suzie Brown will play on July 26. Taylor Swift (July 13 and 14, Lincoln Financial Field). Wyomissing's unstoppable force pop superstar is back on the road in support of her Reputation, last year's mega-selling, catchy, well-constructed enterprise. 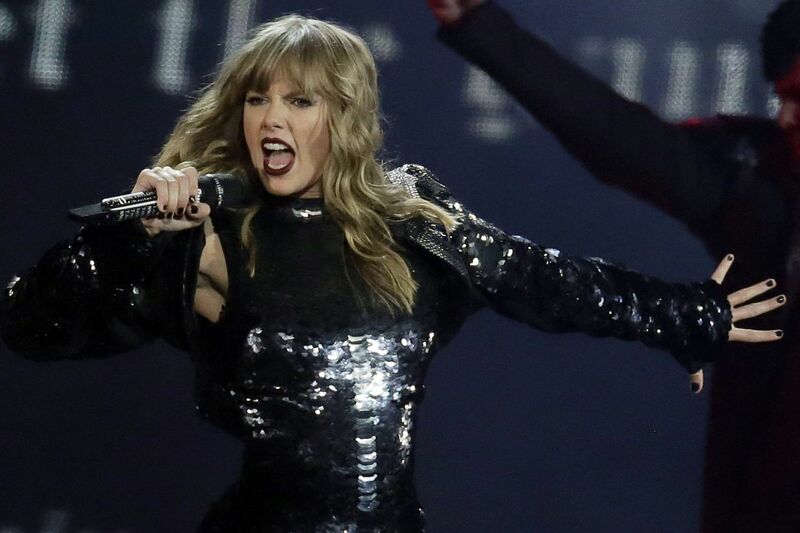 The album finds the 28-year-old former country singer still fixated on her haters, who are represented in the tour's dominant visual motif: snakes. (267-570-4000, lincolnfinancialfield.com). Britney Spears (July 19 and 20, Borgata). The "Toxic" now-36-year-old former teen pop star has survived career ups and downs to become a reliable Las Vegas attraction, and now she's hitting the road in the U.S. for the first time in seven years. In addition to these Atlantic City dates, she's also at the Sands Hotel & Casino in Bethlehem on July 17. (609-317-1000, theborgata.com). Beyoncé & Jay-Z (July 30, Lincoln Financial Field). In 2014, Beyoncé & Jay-Z were On the Run together in a tour that played Citizens Bank Park. Then in 2016, it seemed Jay-Z was on the run from Beyoncé after she caught him cheating with "Becky with the good hair" and walked down the street smashing car windows with a baseball bat in the "Hold Up" video from Lemonade. Now, they're back On The Run II at the Linc after Jay apologized profusely for his transgressions on last year's 4:44. (267-570-4000, lincolnfinancialfield.com). Stevie Wonder (Aug. 25 and 26, Borgata Event Center). Any appearance by the 68-year-old genius is a cause for celebration: Wonder's tours this decade playing his 1976 Songs from the Key of Life in its entirety were truly wondrous, transcendent affairs. He's back this summer with an extremely limited tour for Stevie Wonder Song Party: A Celebration of Live, Love & Music. (609-317-1000, theborgata.com).